Major events for Europe and for England will occur tomorrow. This is a parliamentary vote on the terms of the Brexit deal. These conditions do not suit the Parliament of England, and the likelihood that they will vote against it is very high. But the European Union does not agree with other conditions. The most difficult situation is now with the premiere of England Theresa May. Several options for the development of the situation come to mind and the corresponding reaction of EURUSD and GBPUSD. The British Parliament is voting against the Brexit deal, and we will see a strong drop in the GBPUSD and EURUSD apparently. The British parliament votes in favor of the deal and England leaves the EU on March 29. In this scenario we might see greater volatility, but still possible growth of GBPUSD in the medium term. However, EURUSD behaviour in this situation can be changed drastically. As the precedent has been created, other countries may follow the example of England. England refuses separation from the EU and reject the idea of ​​Brexit. This will be followed by resignations, uncertainty in politics and the economy, and as a result, a decline in GBPUSD and the economy of England as a whole. England transfers its withdrawal from the EU from March 29 to a later period to resolve the situation. The reaction of GBPUSD and EURUSD will be difficult to predict, it is worth paying attention to the context. From the technical point of view, EURUSD continues to look like a growing instrument today. Only breakdown 1.1350 will speak about the development of a downward trend. The zone 1.1475-1.1410 for us is still the place to look for the entry point to the purchase with the target of 1.1535. There is no need to count any more, as there will most likely not be any special movements that are not based on news. Trump is determined to settle relations with China, and this positive event already represented in the price. 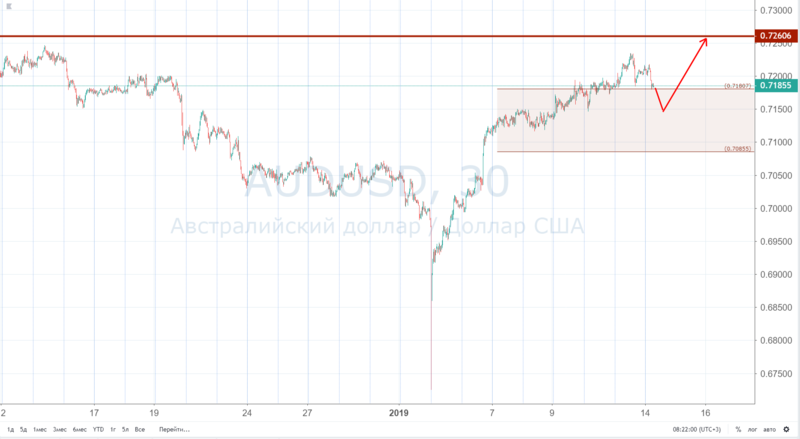 We see that AUDUSD - the currency of the China raw materials supplier, has an upward trend and the area of 0.7180-1.7085 is well suited for purchases. 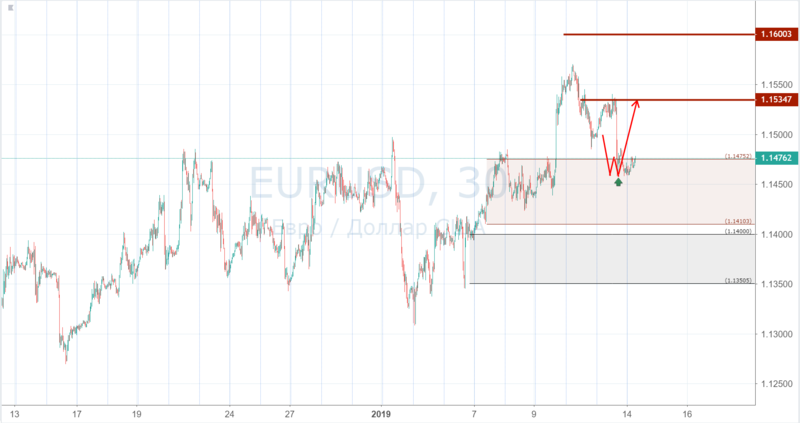 The appearance of prices below 0.7085 cancels our scenario, and 0.7260 looks like a good target for short-term growth, which can turn into more serious with positive news from the US and China.